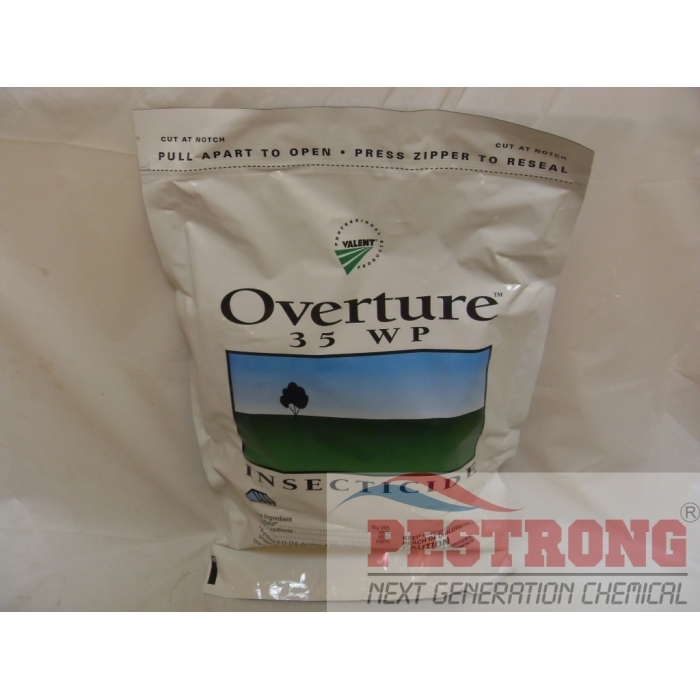 Where to Buy Overture Insecticide, Overture 35 WP Greenhouse Insecticide - 8 x 2 oz - $111.85 for Sale with Fast Free Shipping! 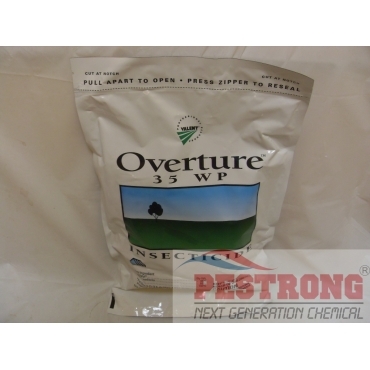 Overture 35 WP Greenhouse Insecticide - 8 x 2 oz is a new class of insecticide marketed by Valent Professional Products that is active against thrips and caterpillars. This new insecticide contains the active ingredient pyridalyl. This product has an unknown mode of action. Overture is a contact insecticide that is applied as a foliar spray. Overture is only registered as a greenhouse product. Not available for residential use. Control of thrips is often not seen for 7 to 14 days after treatment. With the recent concern regarding western flower thrips resistance to Conserve, Overture can be a valuable component of a rotation program. Overture should be considered most effective when used as a preventative treatment or as a rotation product. Overture has provided excellent control of chilli thrips. It’s also effective in controlling many lepidopterous larvae, including azalea caterpillar, cabbage looper, tobacco budworm and many more. Only thing I've used that actually gets rid of any pests in my greenhouse. Works great and I can work in my greenhouse without any annoying distractions from bugs.